Fall Foliage Forecast 2017: Vibrant Leaf Color and New Adventures in Asheville, N.C.
Fall is on the way to Asheville, and our color experts say that ideal conditions are in place for a bright and healthy 2017 fall color show. Stay up to date on fall in the Blue Ridge Mountains with our official fall color forecast and weekly fall foliage reports. And experience the falling leaves and brilliant colors with new adventures and activities. A warm and wet year with a temperate summer has biologists and fall color experts predicting that autumn will be beautiful and vibrant across the Blue Ridge. Healthy trees will add to the color spectrum this year, says Dr. Howard S. Neufeld, professor of biology and "fall color guy" at Appalachian State University. "We aren&apos;t seeing trees prematurely losing their leaves in the mountains. Tulip poplars often lose their leaves in the summer, but this year we may get to enjoy an added burst of bright yellow from these sentinels in the forest." As autumn approaches, a continuation of dry days is ideal to keep the strong color on track this year. 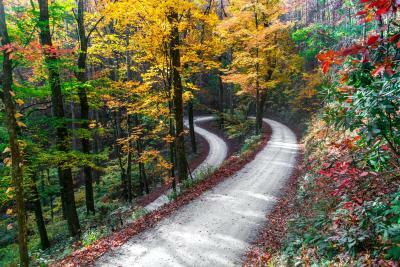 Dr. Beverly Collins, a biology professor and fall foliage forecaster at Western Carolina University, adds that September weather is a very important factor in autumn color. Sunny days and crisp, cool nights are what causes green chlorophyll in leaves to degrade and red, orange and yellow pigments to emerge. The mountains&apos; extreme variation in elevation and variety of tree species make for a long and colorful display. 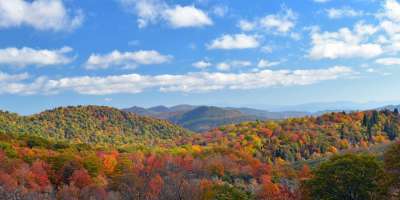 The fall leaves glow from late September (at the highest locations like Grandfather Mountain and Mount Mitchell) to early November (lower locales like Chimney Rock State Park). 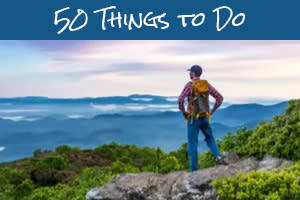 New this year are a variety of ways to experience the fall leaves in the Blue Ridge Mountains. New Hotels for Fall: Just opened, the AC Hotel Asheville Downtown (a boutique brand by Marriott) is home to Capella on 9, a new rooftop restaurant and bar with 360-degree views of mountains and city landmarks. The Cambria Downtown Asheville is set next to the historic Grove Arcade and will open later this fall. Also check out Pillar Bar at Hilton Garden Inn Asheville Downtown and Montford Rooftop Bar at the Hyatt Place Asheville Downtown. 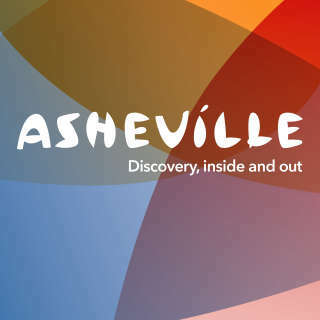 New Ways to Get Outside: New Land & Lore Ecotours offer hikes to waterfalls near Asheville and private natural history tour options. Combine hiking and outdoor spa treatments for the ultimate "forest bathing" experience with Ascend Adventure Wellness. Or hop on the six-person party paddleboard from Wai Mauna Asheville SUP Tours (season open until October 31). Craft Brew with a View: New breweries have been popping up in the scenic countryside around Asheville. Turgua Brewing Company is a small farmhouse brewery using locally sourced ingredients. Whistle Hop features an antique train caboose taproom, disc golf course and sweeping mountain views. Harvest Food News: Asheville Farm to Table Tours is offering a new "mini tour, a three-hour trip to local farms and artisan creameries. Chef Katie Button has brought the vermouth bar trend to downtown&apos;s Cúrate. West Asheville is experiencing a frenzy of new restaurants. And September kicks off “Taste of Biltmore,” a two-month celebration of Biltmore’s farm-to-table heritage with outdoor feasts, special tastings and behind-the-vine wine tours. Fall 360 Color Reports: Coming Soon! Our weekly fall foliage reports include input from local experts, color updates from around the area and fall events and travel deals. Check in to see interactive 360-degree fall views and up-to-date looks at where to find the best color. 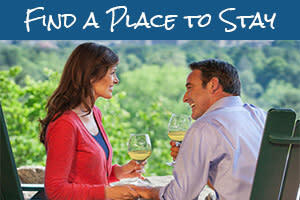 Stay tuned for a special Facebook Live Q&A to kick off the fall season at www.facebook.com/Asheville. Photos by Jason Tar and Jared Kay.